the glimmer of the everyday made dance. 06.05.16 – In transit, rehearsals under way! engaged looking and listening allows the wonder inherent in every fragment of existence to reveal itself. This implies a return to the basic yet profound feeling of being alive, an empowering reconnection to life itself. At this point in history it is superfluous to say that dance is not a limited and specific amount of gestures and motions. And yet, what is the difference between dancing and all the other movements we make throughout the day? I set off on the mission of being “dancingly aware” of my movement in various situations, and found household cleaning to be a rich field of investigation involving a wide variety of tasks. As a result of a shift in my attention, what had seemed plainly boring until then, suddenly bloomed and I found myself in a state of wonder and discovery that was lively and playful. What a powerful resource to sail through the less-favourite scenes of existence! Then I wanted to take the case further: Would these movements actually be productive to make a dance? My first investigations encouraged me to go further and to want to make a piece. 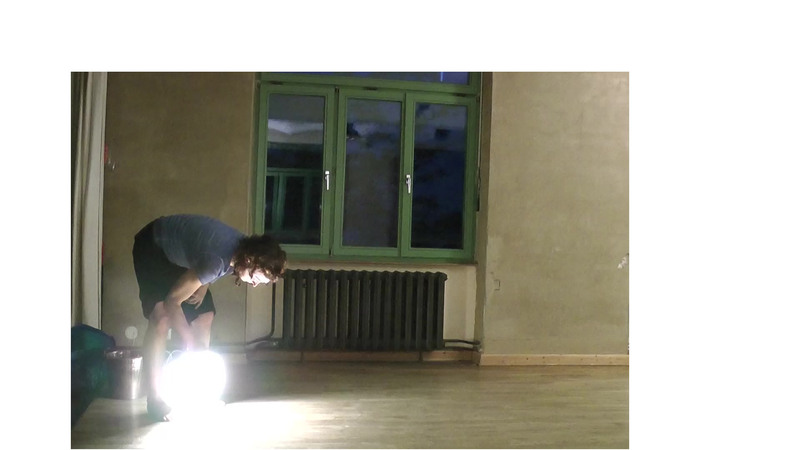 Thanks to the funding from the area for Art and Culture of the Pankow District Office of Berlin and the residency from K77 Studio, I have been able to do so, with the collaboration of choreographer Ingo Reulecke and Justin Buckley‘s sound composition. 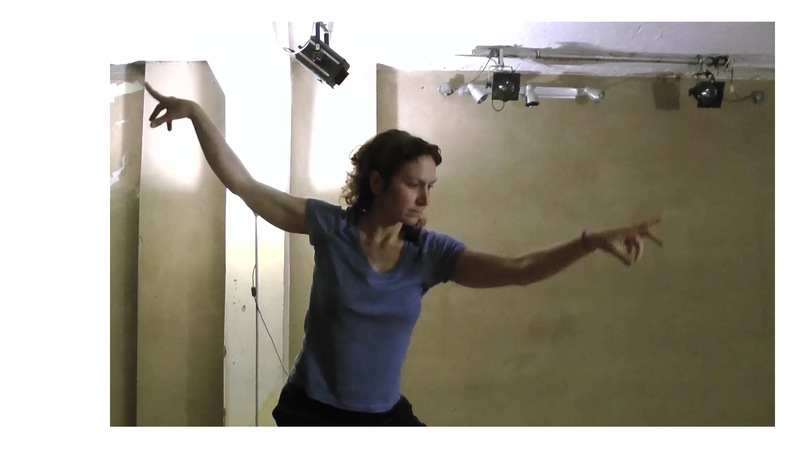 The piece will premiere as part of the Performing Arts Festival Berlin organized by LAFT Berlin. The evening will be a double bill shared with Michael Vorfeld, who will be playing Lightbulb Music. I have always been impressed by how far Michael has gone with his fascination about electricity and light. Lightbulb Music is a delightful unveiling of the secret life of these prosaic objects and the flow of energy that we so nonchalantly switch on and off so many times a day. It is wonderful to have this item in the programme, also based on everyday materials and greatly inspiring. 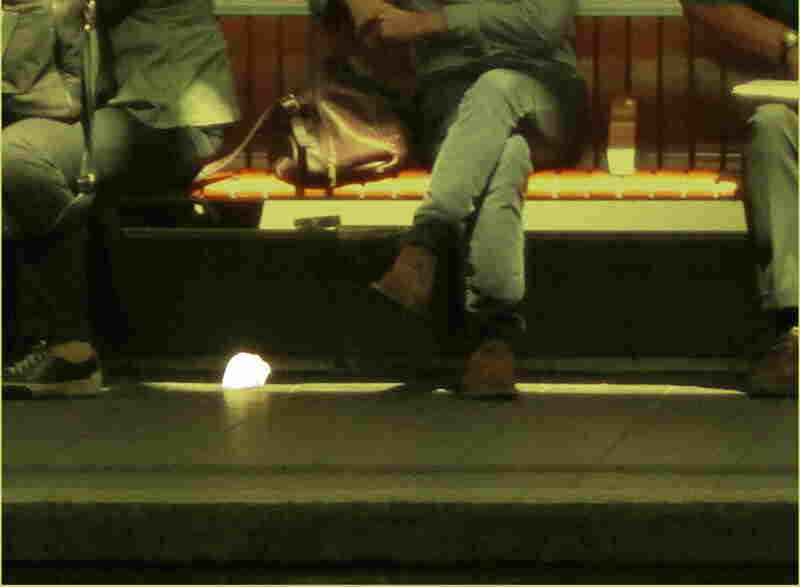 Seeing the radiance of the ordinary is not a matter of making it big with fanfares and razzmatazz, but rather of coming down and in, of intimacy and closeness. Alexander Frangenheim’s Studioboerne45 not only covered all our technical requirements, but offered us a non-theatrical setting with everything on view and no division between performers and audience where we will all be able to gather around to celebrate the details of quotidian affairs. It would be a pleasure to see you there and share all the sparkles, twinkles and glints of these evenings with you. The title is not an arbitrary wordplay. Zeitgenössischer Tanz – contemporary dance – has evolved from several sources, an important one being the work of postmodern New York choreographers in the 60s. They shook up ideas of what dance was in terms of form and content. Already in the 60s Steve Paxton was making Satisfyin Lover, exclusively out of walking, standing and sitting, and Simone Forti was performing Crawling. They shed light on everyday things and open up our perception to things we usually take for granted. If it wasn’t for their work and spark of inspiration, I doubt that I would have considered such a far-fetched idea as making a dance piece out of cleaning. The first step was to choose movements and isolate them. What is “a movement”? Where does it start and where does it end, when it is embedded in a functional sequence? Partly, there is a biomechanical answer, based on its preparation-execution-recovery. Another way to cut is to choose what interests me and leave the rest out. The smaller the pieces, the less recognizable the gesture becomes. Another way of isolating movements is in terms of body parts. When I wipe a surface, the most obvious action is happening in the arms, but as I researched I became more curious about what the other body parts were doing, and found counterbalance, stabilization and also rest interesting. I could use the whole body or I could use only certain parts, from more to less obvious. I observed these movements as I carried them out “in the field”, trying to become aware of their biomechanical logic and then practised them out of context. Without utensils, friction and resistance, the movements changed. I did not want to do pantomime, but rather let the body find the appropriate path for this new situation, so this gave me second-generation movements. From here there were three directions. First, stringing movements together one after another, with the idea of Yvonne Rainer’s Trio A in the horizon. Second, going into one of the movements and opening it up through improvisation: repeating it, doing it back to front, changing the directions, the amplitude, the level. These variations fed into the movement strings. Third, opening up the “world” of the movements, that is, improvising more on the level of associations and letting the dance develop and transform away from the original movement. This also generated segments where the body plays freely with these associations, unbound by realism. Ingo’s collaboration has been essential. On the one hand, because the richness of references and inspirations he has provided. He has also paced my work by keeping an overview and bringing into attention what the next stage could be. I have had all the space and intimacy I needed to follow my zaniness and mine deep into the research, knowing all the while that when I met Ingo outside the well, we would go through my findings and sort things out. As the work has developed, his outside gaze has also been vital to keep a balance between staying rooted and flying away, between concretion and imagination, between dancing the movements and carrying them out. Cleaning has not only supplied the movement, but has also informed the lighting design, the choice of an object or two and the soundscape. The latter is a suggestive composition by Justin Buckley, who has undertaken his own cleaning investigation to gather field recordings. Justin has also kept away from merely documenting reality while at the same time not straying too far off the source during the creative process, and his soundscape provides another level of textures to the piece. (If you are curious, you can listen to a fragment of the first version here). The contributions of film-makers Beatrice Madach, who will be documenting the piece on video, and Carlos Bustamante, have been inestimable to fine-tune the lighting, but also as outside gazes, generously offering their feedback at different moments in the process. Jagna Anderson captured from the beginning the spirit of what I intended to do in the beautiful flyer photograph, and her elegant work has inspired the choice of costume. The bones of the piece have already been assembled and, as rehearsals continue, nuances that had to be put aside during construction reemerge and add detail. Now is the time to polish the clarity, and fade the edges, and to let everything find its place. Performing Arts Festival Berlin is organized by LAFT Berlin in Cooperation with the venues HAU Hebbel am Ufer, Sophiensæle, Ballhaus Ost and Theaterdiscounter. 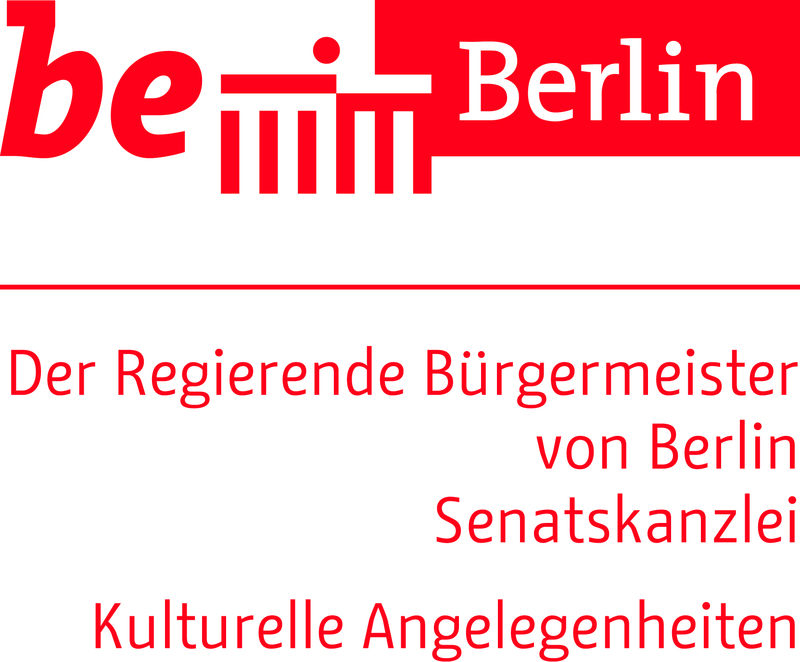 It is funded by the State of Berlin Senat Chancellery (Cultural Affairs) by means of the European Regional Development Fund (ERDF) within the Programme “Stärkung des Innovationspotentials in der Kultur II (INP II)”.